1. 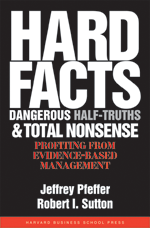 While most management books are based on anecdotes, the biased recollections of some famous executives, or on research that is presented as rigorous (but is not... Good to Great is a perfect example), the Progress Principle is based on the most rigorous field study ever done of creative work. And it draws on other rigorous work as well. As a result, the overall advice about the importance of small wins may be known to many people, but once you start digging into the smaller bits of advice about how to keep work moving along, the evidence behind those is very strong. In my view, the Progress Principle is the best example of an evidence-based management book I have ever seen. 2. The authors didn't drown in their rigor and the details of their work. 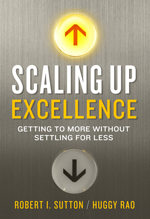 They worked absurdly hard to write a book that is quite engaging to read and chock full with one implication after another about what you can do right now to do more effective work and to motivate it in the people around you. 3. 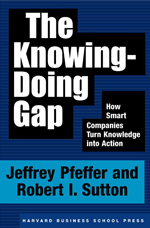 Finally, the main point of this book may seem obvious to some readers, but if you listen to most management gurus and fancy consulting firms, the approach that the authors suggest is actually radically different. The broad sweep of strategy and radical change and big hairy goals is where much of modern management advice focuses, yet the finding from this book that it is relentless attention to the little things and the seemingly trivial moments in organizational life that really makes for greatness is not something that most leaders and their advisers get, yet it is the hallmark of our most creative companies like Pixar, Apple, Google, IDEO and the like. The implication of The Progress Principle, for example, that management training should focus on how to deal with the little interactions and smallest decisions -- and that is what makes for great leaders and organizations -- would, if taken seriously, mean completely revamping the way that management is taught throughout the world. This book isn't a bag of breathless hype, it doesn't make grand and shocking claims, and it doesn't promise instant results. 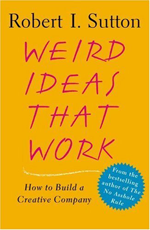 But it is fun and easy to read, it is as strongly grounded in evidence as any business book ever written, and it is relentlessly useful because it points to little things that managers, team members, and everyone else can do day after day to spark creativity and well-being. And it shows how those little things add-up to big victories in the end. 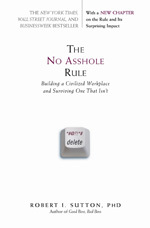 I believe it is one of the most important business books ever written. In the name of full disclosure, I am friends with the authors and did endorse the book. But I am friends with a lot of authors, but when they write bad books, I decline endorsement requests, and as I did very recently, let them know that I think their books aren't very good. 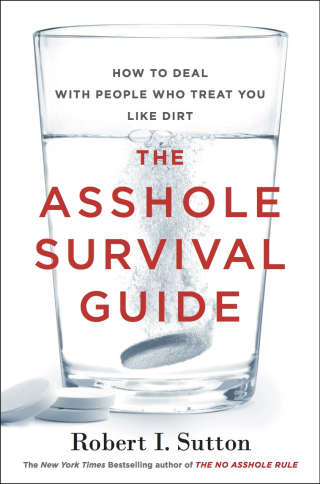 Yes, I am biased, but I believe that this book deserves to be a #1 bestseller. P.S. A special request to you, dear readers. If you love the Progress Principle as much as I do, please do a little something to get the word out about the book -- an Amazon review, a blog post, a tweet, or tell a friend. The authors are working hard to get the word out, but they don't have a huge marketing machine or giant budget behind them, all they have is a great book. "Le succès est une somme de petites choses mises au point" or "success is the sum of little things done well." by Ferdinand Point in his 1969 book "Ma Gastronomie"
Also paraphrased by Marco Pierre White as "Perfection is a lot of little things done well"
Bob: I can't tell you how encouraging this. I've been conducting national research for a few years on the impact of meaningful work, and have found that social impact and a sense of personal accomplishment are in the top 5 of the top 35 work characteristic drivers of 13 different employee outcomes. There's a journal article in press and another in preparation. I also presented this 2 years in a row at the American Psychological Association's annual convention. It's exciting to see all of this emerging at the same time (albeit, my work is unknown as of yet). Meaningful work and a sense of value within the organization are indeed powerful elements of employee engagement. All work is meaningful and valuable (otherwise, why would you be paying people to do it). The trick is for management to help employees see that meaningfulness and personal value, especially during this tough economy and often stressful workplace environment. Managers cannot rely on old-school recognition practices of Years of Service, Employee of the Month, President's Club and similar to achieve this. Such programs only recognize results (or, in the case of YoS - ability to not leave). Rather, employees must focus much more on progress along the way - celebrating the behaviors, achievements, etc., that end up delivering the major successes. In today's world of projects that can last 2-5 years before final completion, celebrating progress critical. I blogged about this a couple of weeks ago trying to apply their distinctions to the encourage adoption of internal social tools...thanks for good information..keep sending like this.. Thank you for sharing some small details about the book, it gives me an interest to buy it. Maybe I can share it to my sister so she can read it too, coz I know it might help her. Thanks! I fixed it here, but doing so at Amazon is probably impossible! I think you want the word "anecdotes" rather than "antidotes" in point # 1. I love The Progress Principle too -- not just for the reasons you highlight above, but also because their distinction between "catalysts" and "nurtures" helps people see two equally-important, intertwined elements of purposeful work. And, both types of work are *visibly* supported and thus reinforced by social media tools within organizations. I'd love to learn how other readers are putting these insights into action.